Drawn to Change is a fascinating anthology depicting the efforts of hard-working men and women as they fought for a better standard of living across Canada. 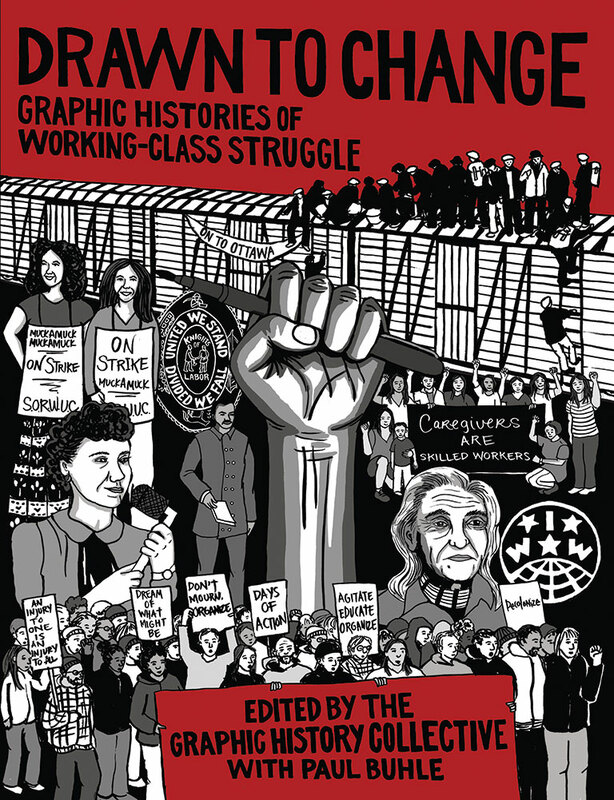 The book is produced by the Graphic History Collective, a group that includes activists, artists, writers, and researchers who are passionate about comics, history, and social change. The collective uses black-and-white sequential art to illuminate the stories of workers from across our nation who organized to create better working environments. These people often found themselves at odds with the governments and corporations of their times. Whether it is a story of Coast Salish peoples facing the pressures of settlement and new industry on British Columbia’s Burrard Inlet, activist and On-to-Ottawa Trekker Bill Williamson, or the women who formed the Service, Office, and Retail Workers’ Union of Canada, each is told clearly with a distinctive visual style. For those with a love for comics and an interest in the Canadian labour movement and its history, Drawn to Change offers an engaging journey of discovery. A cadre of historians, artists and activists champion social justice via comic books. In 2013, they published a free comic on Canada’s early labour movement.